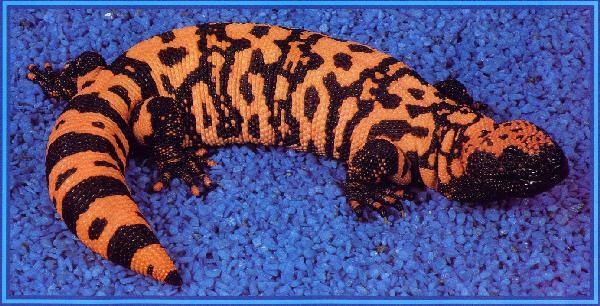 Gila monsters make great captives, being undemanding in their requirements. Being the ONLY two venomous lizards in the world their ownership is controlled in many countries. In the UK they are covered by license (DWA) and as such are restricted and can only be kept with appropriate DWA license. Although bites from gilas & beadeds are extremely painful, NO known deaths have occurred. We are working with H.s.suspectum, these are from Steve Osborne in the USA. We have both the Orange morph and the Salmon Pink morph and will be keeping these colour morphs separate in all breeding projects.. Osborne's gilas are known for being some of the most intensely coloured available. We have also just purchased a group of 13 beaded lizards, H. horridum exasperatum.